Another day, another step in the creation of the Buche de Noel! Last night I whipped up the chocolate ganache that serves as the filling and icing for the Buche de Noel. 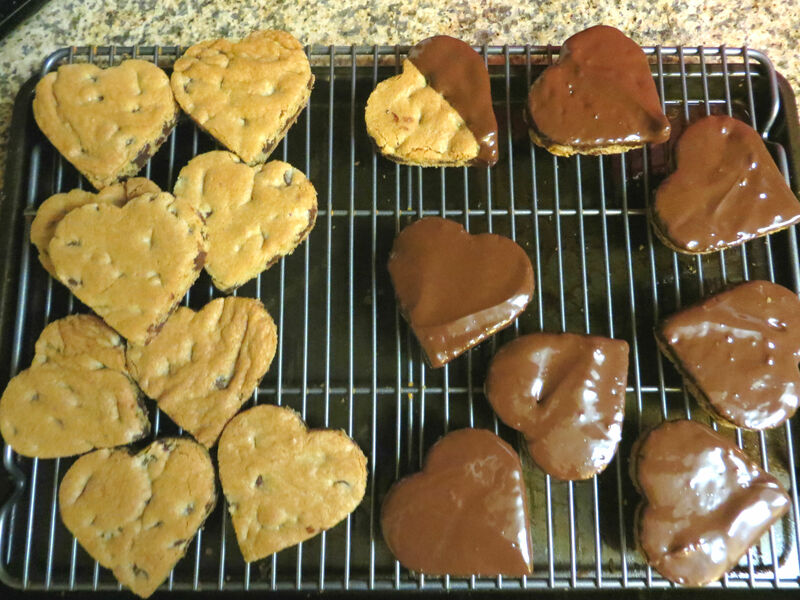 Ganache is just a mixture of cream and chocolate and can be used in so many ways. I usually dip cookies in it, but you can drizzle it over ice cream, use it as a chocolate fondue, or eat it with a spoon! It’s a truly flexible chocolate concoction. The chocolate ganache for this Buche de Noel starts with a medium-sized saucepan set over medium heat. And throw in some butter and some corn syrup. Pour in two cups (AKA a pint) of heavy cream. And stir the mixture until it just comes to a simmer. Remove the milk mixture from the heat. Dump said mythical bittersweet chocolate chips into the hot cream. 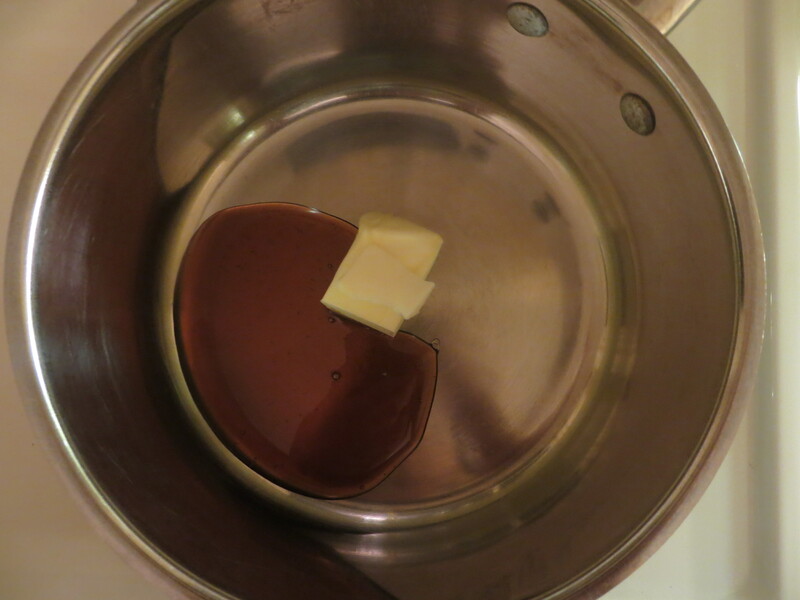 Then wait the LONGEST five minutes of your life… the chocolate needs time to soften and begin to melt before you stir. After five minutes, use a whisk and vigorously combine all the ingredients until you get a beautiful, smooth chocolate ganache. Of course, you would never want to serve sub-par ganache to your friends and family… so grab a spoon and dive in! The ganache needs to cool to room temperature before spreading onto the cake, so I popped mine into a Tupperware container and into the fridge! Now, all that is left is the cake… wish me luck!